Mac(s aapl) developers who got an early peek at upcoming OS X Mavericks 10.9.4 software noticed a tidbit suggesting new iMac hardware is on the way soon. 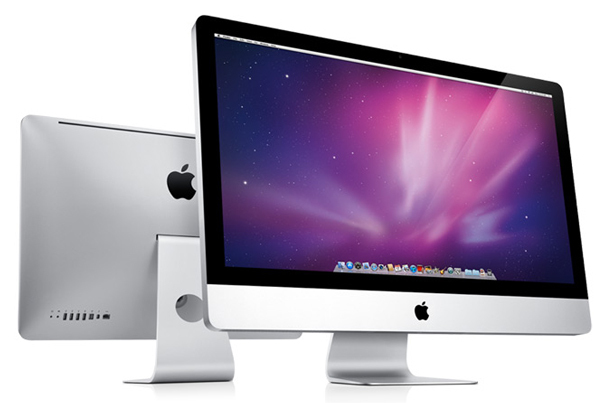 9to5 Mac called out three specific references to iMac models in the code showing the iMac 15 designation. Apple’s current iMac hardware models start with the number 14; the company increments the model number by one with each new hardware revision. What does this code suggest? Aside from three distinct iMac variations, it appears that only one will have a graphics module integrated with the CPU. The other two will have both integrated graphics and a discrete or separate graphic processor, which is better for visually intensive applications and games. This is actually how the current iMac lineup is offered: The entry level 21-inch iMac has Intel(s intc) Iris graphics only while all other models add an Nvidia(s nvda) GeForce graphics chip. Noted KGI securities analyst Ming Chi Kuo suggested in an April research note that Apple would add a low-cost iMac to its 2014 product line, so it’s possible that the first code line references that model. It’s not possible to tell from this snippet, however. It’s also a bit of a stretch but it’s possible that Apple introduces its first iMac with a 4K screen, bringing its “retina display” technology to the desktop. The company added better scaling support for high DPI monitors, such as external 4K displays powered by a Mac Pro and the 15-inch MacBook Pro retina display, in the last OS X Mavericks update. To date, however, the iMac doesn’t qualify as a high DPI screen. Perhaps the next one, likely a 27-inch model, will. Adjustable display monitor stands you fools! Seeing the current prices of Retina displays shipped by Apple in it’s computers, the 27″ iMac with a Retina Display will likely cost a fortune. A 15″ MBP is priced at $ 1999. This new list shows only 3 models. I’m assuming then one model is getting dropped. I think you may be underestimating Apple – a 4K iMac could most definitely be in the cards given the changes made in OS X 10.9.3 to support larger “retina” displays. Why wouldn’t they debut an all-Retina iMac with the iMac15,n? I would put money on it. I hope you (and I) are right, Eddie. I still use a late-2009 27-inch iMac but my eyes are getting spoiled by higher resolution displays!